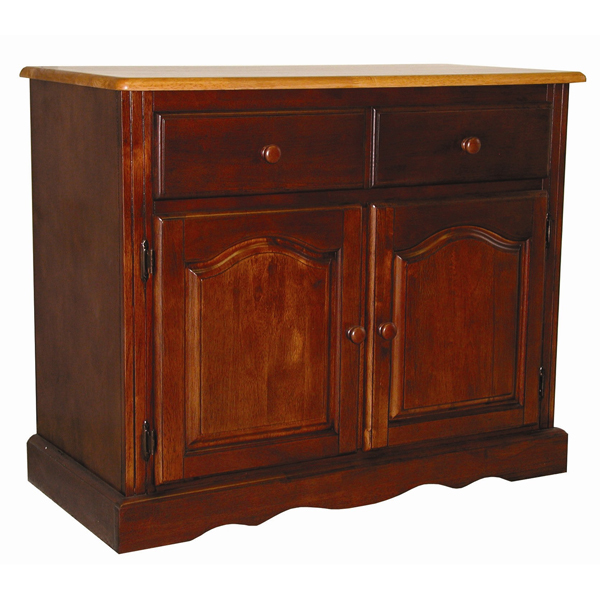 Invite a touch of country warmth and beauty into your home with this traditional American classic piece from the Sunset Trading Sunset Selections Collection. Versatile enough to complement your dining area, den or office, this piece offers ample storage without compromising space or style. Features two raised panel cathedral arch doors that open to an adjustable shelf, two drawers with round knob handles for easy sliding, and scalloped apron trim at bottom of base. Appropriately multi-functional as your dining room buffet or den/office sideboard. 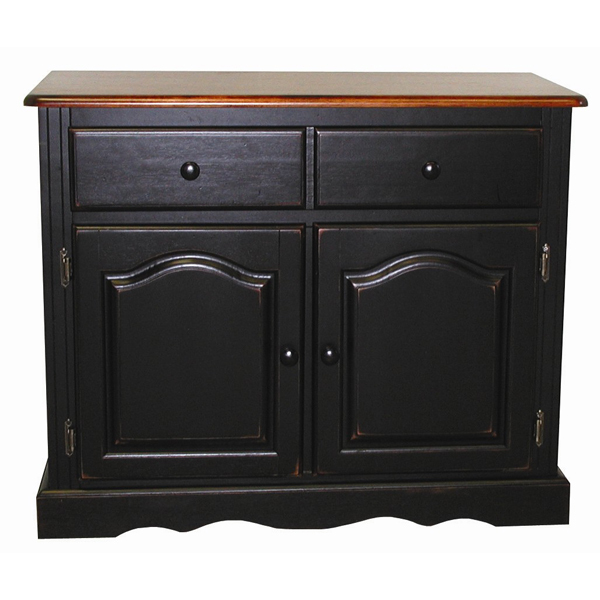 For enhanced elegance pair this piece with the matching glass door hutch (sold separately). Prominently display your china, books or family collectibles bringing warmth and classic beauty to your home. A timeless piece for generations to come! 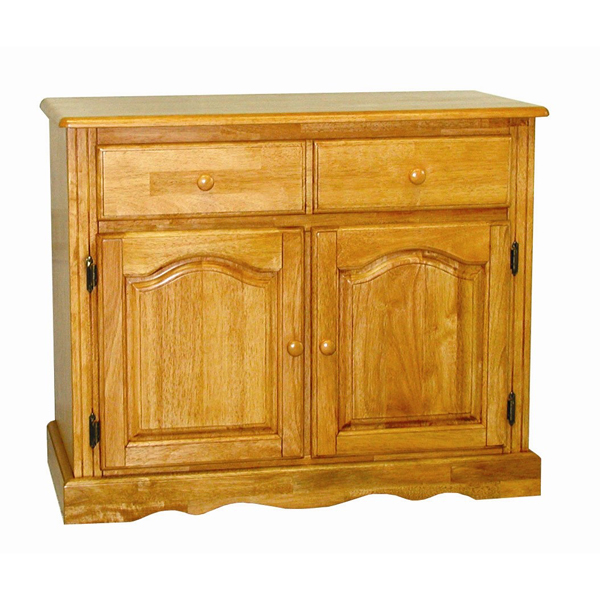 Hand crafted with two (2) drawers with two (2) raised panel doors and an adjustable shelf. Asian Ramon hardwood construction. The Sunset selections collection, manufacturer provides one year warranty against defects.